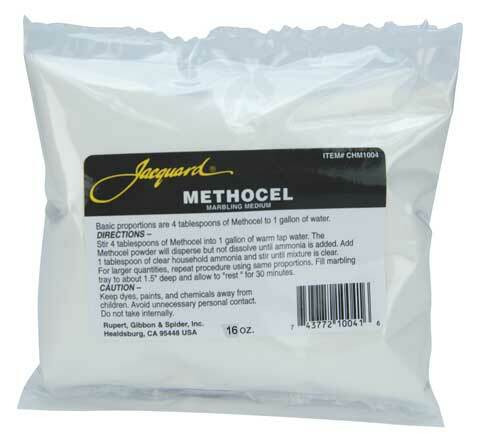 Methocel is a less expensive alternative to Carageenan for providing viscosity in marbling on fabric. Stir 1 oz. of Methocel into a gallon of water at room temperature, and add one teaspoon of ammonia. In 15-20 minutes solution can be stirred and is ready for use. In an 8 oz. bag.